The Baltimore Black Worker Center was founded in 2016. It has organized listening sessions in which community members were able to engage in conversations on what it means to be working while Black. Among the issues brought up were: affordable housing; wage theft; low and poor quality jobs; low income security; high rates of vacancy; and state violence. These listening sessions validated the belief that the Black working community in the city of Baltimore faced many issues but there was very little collective organizing led by Black workers. It was also clear these issues were underlying the distress the fed the recent Baltimore uprisings. The Baltimore Black Worker Center has four active standing committees: Culture, Art and Media; Education; Outreach; and Research. Following up the listening sessions, the Baltimore Black Workers’ Center will have a Strategy and Action session with community members in order to continue to gain input on what the focus of their first campaign should be and what techniques and methods should be exercised. 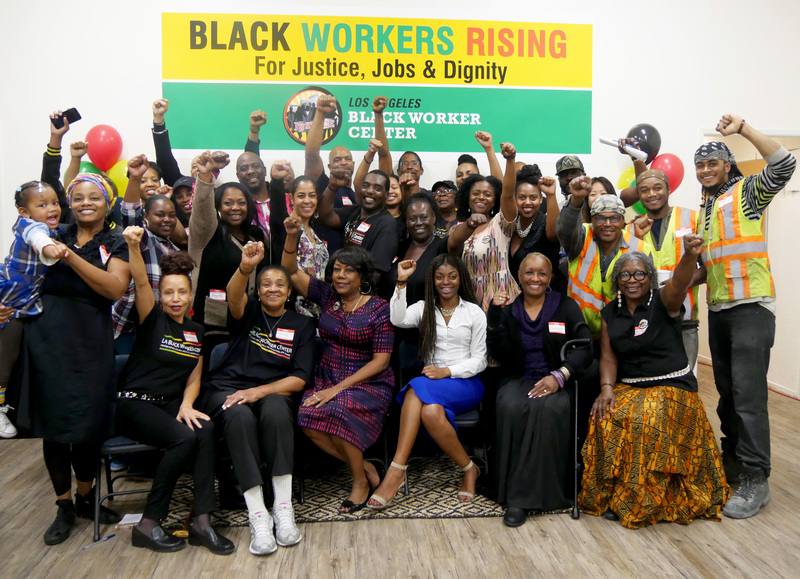 The Bay Area Black Worker Center was founded in 2013 and is dedicated to improving the quality of life in the Black community by organizing around workplace and non-workplace issues facing Black workers. The mission of the Bay Area Black Worker Center (BABWC) is to increase access to quality jobs, improve the quality of jobs in those industries that employ Black workers and reduce employment discrimination against Black workers and therefore, eliminate Black poverty. The BABWC develops organized power and authentic grassroots leadership among Black workers (unionized, nonunion, immigrant, formerly incarcerated, youth, and the unemployed) and the extended community. The center’s key strategies are leadership development of workers, research, organizing, and building strategic alliances between the Bay Area labor movement and the Black community and beyond. The BABWC seeks to promote economic and racial justice, peace, and prosperity for the Bay Area by eliminating poverty wage employment and developing polices and corporate practices that perpetuate equality in the labor market. By learning about the work experiences of over 300 Black workers through surveys and listening sessions, the BABWC found out that many Black workers have experienced racism in hiring and have been discriminated in hiring and promotions due to having a conviction on their record. While policies like Ban the Box are gaining traction, most employers are still using private background checks. The Bay Area Black Worker Center is a core member of the Justice Reinvestment Coalition of Alameda County which launched the Jobs for Freedom Campaign to break down employment barriers created by mass incarceration. This campaign was successful in getting Alameda County to commit to creating a new countywide Re-Entry Hiring program that will place formerly incarcerated residents into 1400 jobs. The program will also include job coaches, mentors and court advocates to get participants’ Probation terms reduced or terminated. 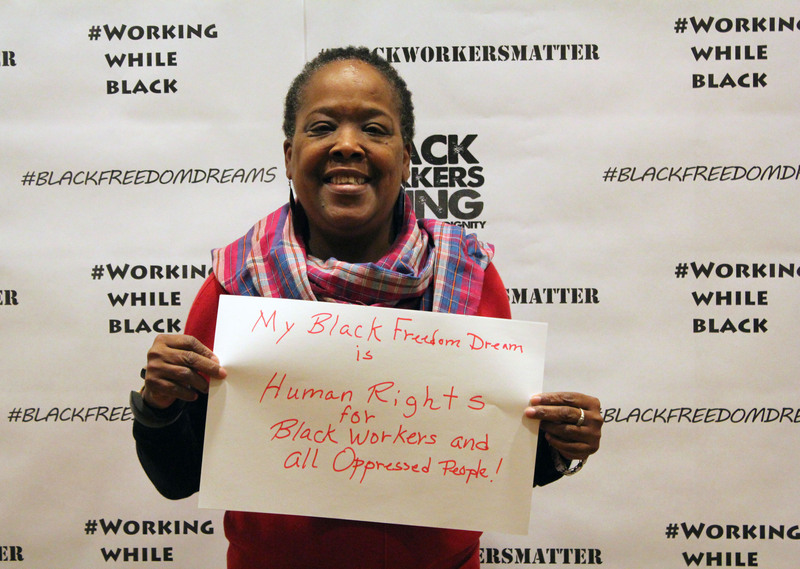 The Black Workers for Justice (BWFJ) is an organization of Black workers formed in 1981 out of a struggle led by Black women workers at a K-mart store in Rocky Mount, North Carolina against race and gender discrimination. After organizing a boycott of the local K-mart store and reaching out to workers at other workplaces and communities, Black workers and community activists from 10 counties met at the First Missionary Baptist Church in Fremont, NC in June 1982 to form BWFJ as a statewide organization. 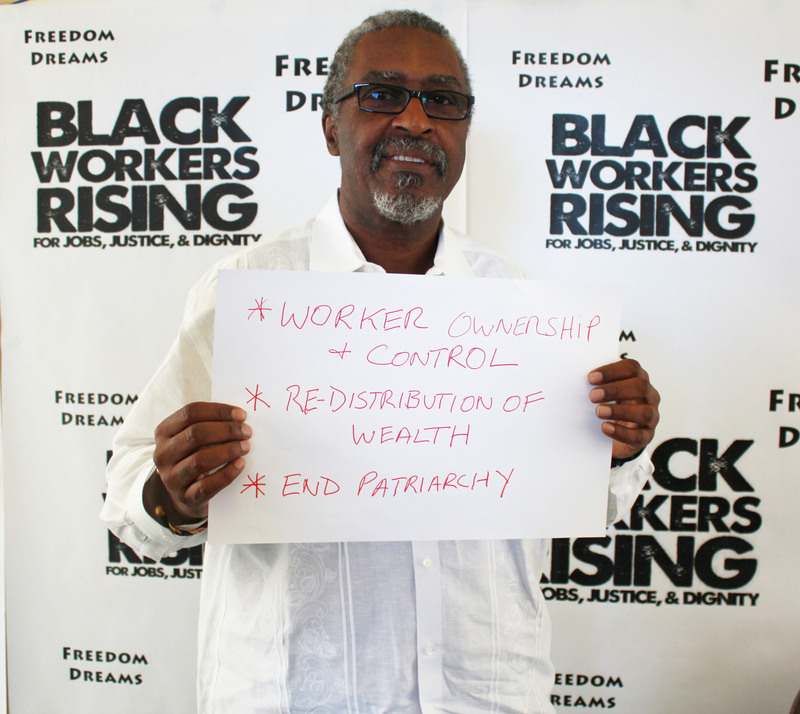 BWFJ believes that African American workers need self-organization to help empower ourselves at the workplace, in communities and throughout the whole of US society to organize, educate, mobilize and struggle for power, justice, self-determination and human rights for Black, oppressed nationalities, women and all working class people (employed and unemployed). The ability of workers to withhold their labor in an organized and collective way to seriously impact the daily operations of the economy and society, including the government, constitutes a major aspect of the power of Black workers to win progressive changes and to help radically transform society. BWFJ helped build community-based institutions that identified with the Black workers’ and African American liberation movement. These include Peoples Health (screening) Clinics, which have sponsored hand clinics to screen for carpel tunnel injury and that have to establish contacts for organizing in the poultry industry; and the Community Empowerment Alliance that brings together community organizations and progressive officials from several towns and major Black majority subdivisions into a People’s Assembly to decide common demands and priorities for community empowerment and development. BWFJ members are also organizers and leaders in the independent United Electrical Workers Union (UE), and in AFL-CIO unions, engaged in building caucuses in the Postal Services and shipbuilding industry in North Carolina and Mississippi. BWFJ also conducts labor education through the Southern Center for Labor Education and Organizing (SCLEO). In Boston, where about one fourth of the population is Black, African Americans experience the highest rate of unemployment compared to Latino/a Asian and White populations. And with gentrification currently affecting the neighborhoods, the question was not whether or not to have a Boston Black Worker Center, but how would it be formed? Who would be at the table? And how can a Black Worker Center best serve the community? The Boston Black Worker Center expects to serve workers that identify themselves being Black and of the African Diaspora in the greater Boston area but this geographic may span the state of MA as they begin to crystallize their mission. The Boston Black Worker Center has held three community listening sessions in which surveys and questionnaires were given out to get a sense about the needs of a center and to discuss the hardships about being a Black worker. 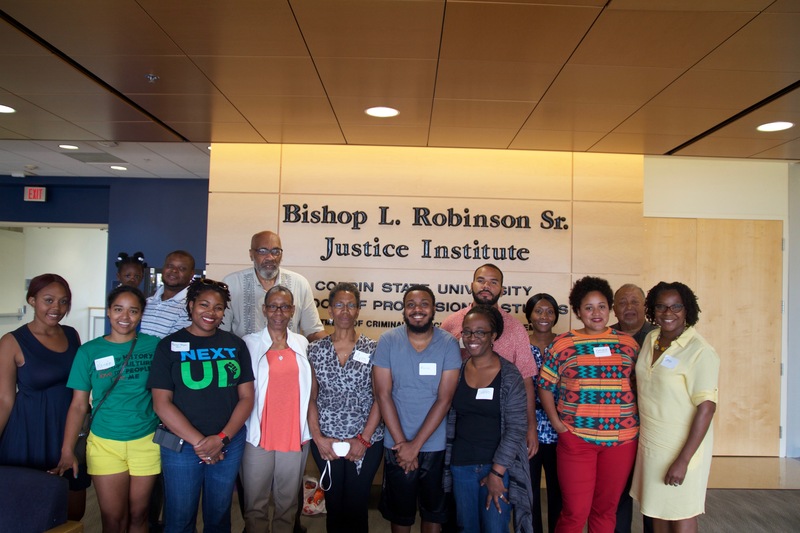 These sessions were held at 32BJ SEIU Downtown Boston office, IBEW 103 Dorchester, and at the Roxbury Branch of the Boston Public Library, respectively. 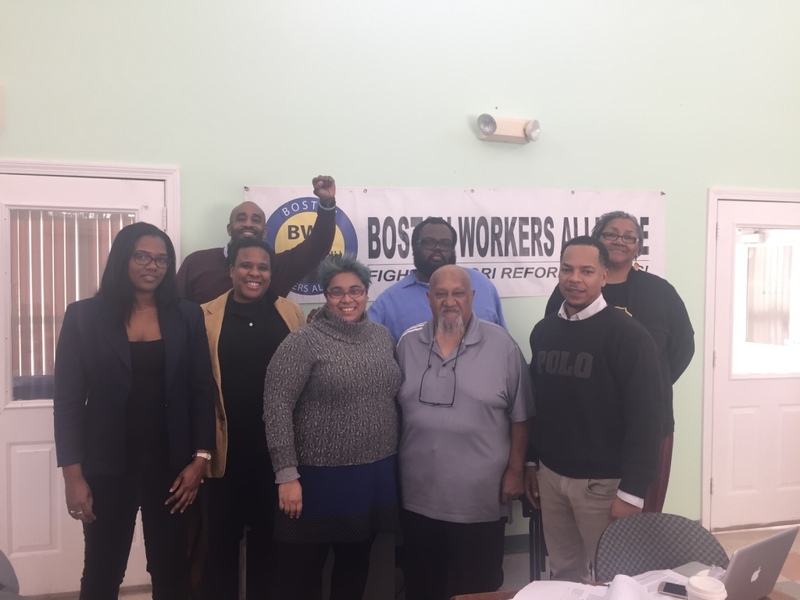 Some of Boston’s Black Worker Center key partners include rank-and-file Black union members of the A. Phillip Randolph Institution, The Boston Workers’ Alliance, The Black Economic Justice Institute, and former Boston City Councilman Chuck Turner. Boston plans to compile the data from the surveys they have received after the community listening sessions and author a report that will serve to use it as a focus for their first campaign. In the neighborhood of Anacostia, D.C. the unemployment rate is 20-22 percent but informally, residents believe the unemployment rate is closer to 50 percent. The DC Black Workers Center envisions a center where workers can openly discuss the intersection of race and work, particularly what it means to be “working while Black,” as well as a place for Black workers to positively recognize their Blackness. Among the DC Black Worker Center’s first activities have been: several worker intake hiring events co-sponsored with the Laborers’ International Union of North America (LiUNA); an outreach session with members of the United Food and Commercial Workers International Union (UFCW) Local 400; and participation on the Marriot Campaign in which they discovered the flaws of the Marriott Marquis Job Training Program and advocated for the improvement of D.C.s’ First Source law. The DC Black Workers Center next major project will address apprenticeships to secure D.C. government funding for a tech apprenticeship pilot that will provide quality paid training to Black workers and connect them with living wage tech-sector careers. 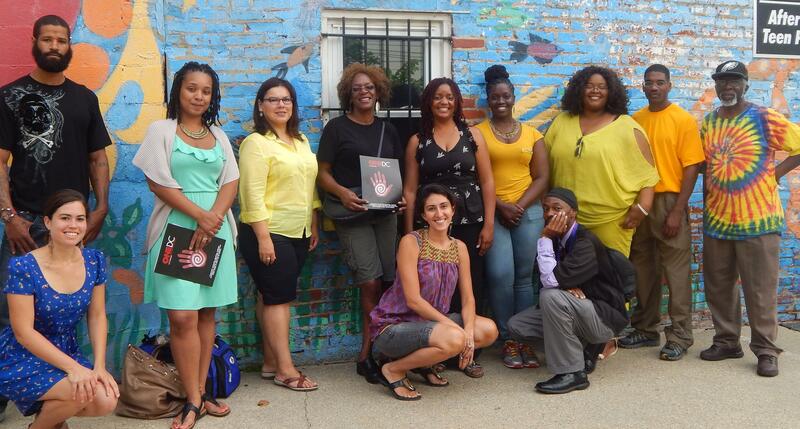 The DC Black Workers Center demands that the D.C. Workforce Investment Council pull money from failed workforce development programs and re-allocates those funds to a tech apprenticeship pilot for Black workers. The Los Angeles Black Worker Center (BWC) project grew out of a combination of seven years of experience in low-wage worker organizing in South Los Angeles, developing leadership of Black unionists in the African American Union Leadership School (AAULS), a popular education program at the UCLA Labor Center, and the challenge to sustain progressive labor-community-university coalitions over the long term. The Los Angeles Black Worker Center launched in 2010. The mission of the Los Angeles Black Worker Center is to increase access to quality jobs; reduce employment discrimination; and improve industries that employ Black workers through action and unionization. The center seeks to promote economic and racial justice, peace, and prosperity for all of Los Angeles by developing policies and corporate practices that perpetuate equality in the labor market and end inferior jobs in the Black Community. The Los Angeles Black Worker Center develops organized power and authentic grassroots leadership among Black workers (unionized, non-union, immigrant, formerly incarcerated and the unemployed) and the extended community to reverse the disproportionate levels of unemployment and underemployment in the Los Angeles Black community. The center’s key strategies are: leadership development of workers, research, and building strategic alliances between the Los Angeles labor movement and the Black community for action in collective campaigns. Some of their key partners include several unions, South Los Angeles community based and social justice organizations, immigration worker centers, and several universities. Black workers remain chronically underrepresented in construction, despite decades of Black worker activism for inclusion. In recent years, the City of Los Angeles recognized the need to address diversity deficits in the construction sector. The LA BWC recognized that a major opportunity to achieve change was through a Project Labor Agreement (PLA), which Metro was already considering implementing. Under a PLA, ground rules are established on wages, work site conditions and protocol for resolving labor disputes on public works projects; the owner of the project, the unions and the contractors all agree to be bound by the agreement so that the project runs smoothly. The LA Black Worker Center pushed to include in the language proposed Metro PLA that established the community as a stakeholder in the project and established workforce goals such as increasing access to jobs for local residents and disadvantaged workers. On January 26, 2012, the Metro Board unanimously approved the PLA which proved to be a huge accomplishment for the LA BWC. In conjunction with this work the LA BWC launched its “Ready to Work” whose goal is to connect mentors to individuals new to various industries so that workers can train for, secure, and maintain employment. The Mississippi Workers’ Center for Human Rights was founded in December 1996 after the first Southern Human Rights Organizer’s Conference. The Mississippi Workers’ Center is a worker advocacy organization that provides organizing support, and training for low wage, non-union workers in Mississippi. Through direct action campaigns, organizing drives and trainings, they work in coalition with workers to fight for human rights in workplaces and communities. The Center works with the state’s most vulnerable workers (mostly low-wage, non-union members) to develop strategies to combat racism, sexism, homophobia, and other forms of oppression in the workplace. They provide support and solidarity for workers in their struggles to improve their work conditions and rid their workplaces of racism. This extends from the failure on the part of employers to provide safe and healthy work environments to hate violence in the workplace where nooses and racist graffiti are displayed. Through local, national, and international networking and coalition building, the center builds bridges between workers in the southern region of the U.S., other parts of the country, and the world. They fight worker mistreatment through community education and outreach and most importantly, through organizing and the development of indigenous worker leadership. The Center also works with trade unions and other labor organizations to support their efforts to intensify union organizing in the state of Mississippi and across the southern region. Some of their key partners include the United Automobile Workers (UAW) Region 8, The National Association for the Advancement of Colored People (NAACP), The Mississippi Immigrants’ Rights Alliance (MIRA), Fight for 15, Black Workers for Justice, Teamsters Local 808, Cooperation Jackson, and Veterans of the Mississippi Civil Rights Movement. The “Dying to Make a Living” campaign is a campaign to repeal the current workers’ compensation law in the state of Mississippi, which provides only 450 weeks of coverage for workers who are injured and those family members who survive the death of a worker. Mississippi is one of 17 states that have a ceiling on workers’ compensation. They also focus on what workers go through when they work in dangerous, dirty situations. Many of the jobs are still assigned by race and the Mississippi Workers’ Center deals with a lot of racial segregation because of job steering, where workers are automatically steered, because of the color of their skin, to the most dangerous and undesirable jobs. The center also started the “Voices of the 82” Initiative in which 82 represents the 82 counties in Mississippi. This video ran as an advertisement on different stations and displayed injured workers addressing their specific legislature to increase the benefit weeks of worker’s compensation. These videos were then copied and given to caucus members as a way to increase outreach. The Mississippi also launched “Housing as a Human Right” in order to wage struggle against slumlords and expose the deplorable housing conditions of Mississippi’s low income community. The Worker Center for Racial Justice started in 2012 after envisioning an organization that would uplift marginalized workers. At first, several conversations occurred on how to tackle the discrimination of Black workers in temporary industries and companies that use temporary workers. Through these conversations, it was soon realized that a major barrier preventing Black workers from getting hired are criminal background checks. In 2013, the Worker Center for Racial Justice started the Ban the Box Campaign in Illinois so employers remove from their hiring applications the check box that asks if applicants have a criminal record. This allows ex-offenders to showcase their skills and qualifications in the hiring process before being asked about any criminal offenses. This campaign was successful in banning the box for both public and private sector employers. The Worker Center for Racial Justice also assisted with The People vs. Anita Alvarez campaign. Anita Alvarez was Cook County’s State Attorney and protected criminal cops who tortured and terrorized the city’s Black community, filling Illinois’ prisons with innocent men in the process. Although she refused to resign after the controversial Laquan McDonald case, the center along with numerous allies educated Cook County voters and put enough pressure on the state attorney’s office which led to her loss in the Democratic primary for state’s attorney’s race on March 15, 2016. The Worker Center for Racial Justice is a state-wide organization that assists Black workers throughout the state of Illinois. Their membership consists of marginalized, low wage, formerly incarcerated and Black workers. 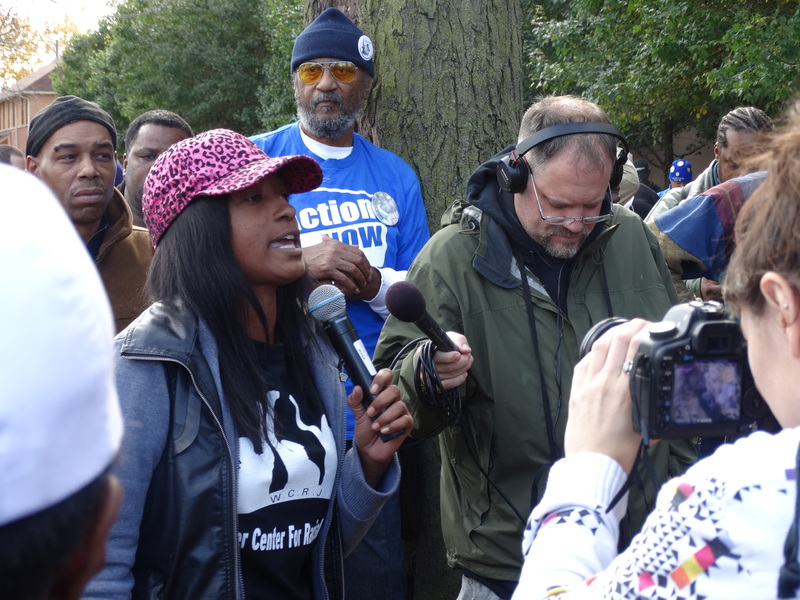 Some of their key partners include Black Roots Alliance, Southsiders Organized for Unity and Liberation (SOUL), Action Now, and SEIU Healthcare Illinois. The challenges the Worker Center for Racial Justice faces are a lack of funding and the ability to keep and maintain staff. The center hopes to overcome these challenges by creating a work plan and a strict budget, as well as improve vetting for future employees.